Archives for January 10th, 2018 | SmashToast, Inc.
Live-action shot from SmashToast’s PUCK booth at CES 2018! 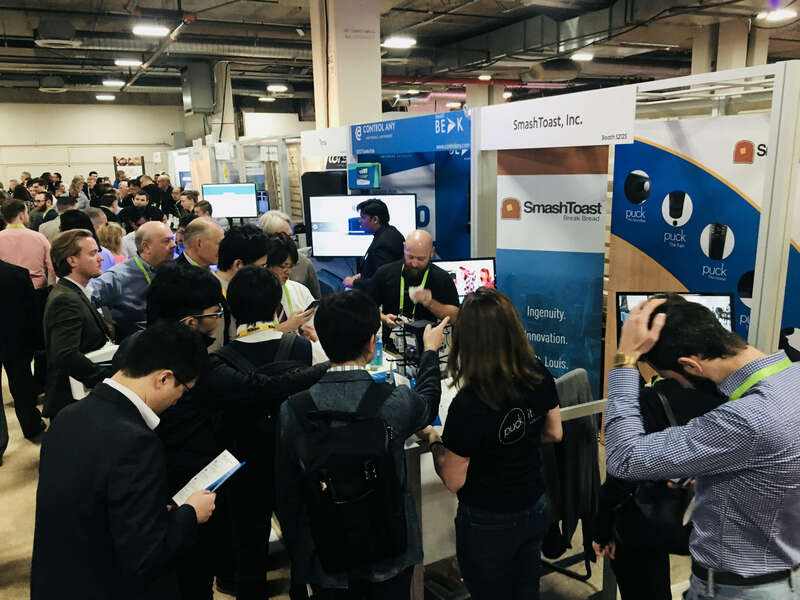 The activity around the CES2018 SmashToast and PUCK booth is electric! Here’s a live-action shot of our dedicated team in action – fielding orders, inquiries, and excitement around one of most affordable smart home gadgets on the market. We will continue to bring live shots from CES2018 to our clients and supporters from around the world the rest of the week!